Everyone wants a beautiful smile, but not everyone is willing to undergo a complicated dental procedure to get it. That’s where tooth bonding comes in. It is one of the simplest and most effective forms of cosmetic dentistry in Little Elm, TX. Tooth bonding works similarly to veneers, in that it is designed to cover flaws in your smile like chipping, discoloration, or decay. The difference is that instead of placing a thin piece of porcelain over the entire tooth, a tooth-colored composite resin is applied to the affect areas of the teeth. It’s a bit like using white out. Tooth bonding is a much simpler procedure than getting veneers. This means that not only do you spend less time in the dentists’ chair, but you also spend less cash. You can dramatically improve your smile without paying the relatively high price of veneers. Arte Dental is the best place to go in Little Elm and McKinney, TX for cosmetic dentistry like tooth bonding, veneers, and tooth whitening. Our skilled dentists will help you achieve a smile you will love! Contact us today to make an appointment at one of our locations and start smiling with confidence. This entry was posted in Uncategorized on December 29, 2016 by . We know that getting your kids to do things that are good for them can be difficult – especially when it comes to establishing a dental hygiene routine. Making healthy things seems like fun is essentially to making sure your kids get proper care, so we’d like to share a few ways you can turn a proper brushing and flossing routine into a game. Your kids look up to you, whether they want to admit it or not. You can inspire your kids to adopt a healthy dental hygiene routine by letting them watch you brush and floss each morning and night. When you take your kids into the bathroom to get them ready for school or for bed time, take care of your brushing and flossing at the same time. Chances are, you kids will want to imitate you. As an extra benefit, if you’ve been slacking on your own dental health, this is a good way to get back on track. Make up a calendar for the current month, and place a sticker on the date for each day that they brush and floss their teeth both morning and night. It’s a visual reminder of their progress, and the kids will be motivated to fill in the calendar. At the end of the month, the stickers can be exchanged for a small prize. 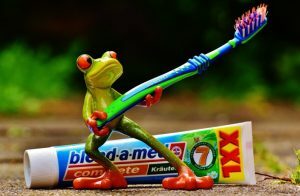 Music motivates adults to get through a workout, so why not try the same technique with brushing your teeth. Choose some fun music and play it while your kids are brushing and flossing. Encourage them to dance and sing – turn it into a party! Arte Dental provides quality pediatric dentistry in Little Elm, TX and McKinney, TX. Contact us today to make appointments for the whole family. This entry was posted in Uncategorized on November 15, 2016 by . A veneer is an extremely thin shell made of tooth-colored material that is custom made to fit over the front of your teeth. These can be made using either porcelain or resin, depending on what you and your dentist decide is best for you. Getting veneers in McKinney, TX can help with a lot of cosmetic issues. Veneers cover existing teeth, immediately hiding any discoloration or staining on your teeth. It’s like getting your teeth whitened, but with more dramatic and permanent results. 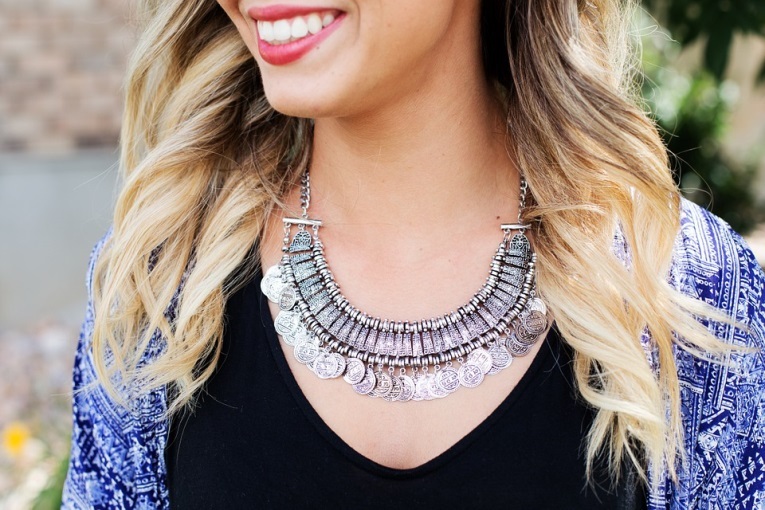 Enamel is relatively soft, and can wear down over time. Veneers can help lengthen your teeth and cover up any signs of wear. Veneers restore your teeth to their perfect shape, so they are ideal for covering up chips in your teeth, or for repairing broken teeth. If your teeth have craters, bulges, or any other kind of deformity that causes your teeth to be misshapen, you can correct it with veneers. Veneers are used to create an even, beautiful smile, which means they can effectively close any gaps in your teeth. Your smile is one of your most important features, but if you have any of the issues listed above you may find yourself hiding it away. Veneers can help you restore your confidence and self-esteem and get you smiling wide again. Your smile is an important asset. Studies have shown that people with whiter teeth are seen as more attractive and trustworthy, so maintaining a bright and healthy smile is a priority for many. There are many different ways to whiten teeth: you can visit your dentist and have an in-office whitening procedure, or you can try one of the thousands of whitening strips, trays, pens, toothpastes, kits, etc. that you can get over the counter. While these OTC tooth whitening kits are generally okay to use, it is usually better to have this procedure done by your dentist. Some of the over-the-counter tooth whitening products can cause irritation in your gums if used improperly. Some of them may even exacerbate tooth sensitivity. Also, some whitening kits come with trays that may not fit properly on your teeth, causing irritants to get into your gums – and possibly undermining the effectiveness of the product. Your dentist can tailor a whitening treatment that fits your needs, which is especially useful for those of us who have sensitive teeth. A medical professional will also be able to complete the procedure without irritating your gums. Over-the-counter whitening products are not regulated when it comes to what they claim their products can do. That means that none of them are guaranteed to work. Sure, you can look up reviews and see how the product has worked for other people – but with new types of internet marketing, you can’t be sure that the reviews are honest. Your dentist knows your teeth better than anyone. When you undergo a whitening treatment with your dentist you are getting a safe and effective whitening procedure. Dentist-supervised treatments not only provide more dramatic results, but are also safer and more comfortable. The amazing Dentists at Arte Dental can provide you with the bright, white smile you’ve always wanted. Contact us today for more information about cosmetic dentistry in Little Elm, TX and the surrounding area. Acid erosion is one of the biggest threats to your teeth. It can cause tooth sensitivity, and make your teeth more vulnerable to decay. It can also affect the appearance of your teeth, making them transparent and stained. Once the enamel is gone, it’s gone forever, so protecting your teeth from acid erosion is very important. Here are three tips for avoiding acid wear. Wine, coffee, soft drinks, and fruit juice all contain acids that can damage your teeth. In the case of soft drinks, the carbonation adds to the erosion – so even sugar free diet sodas can severely damage your teeth. If you can’t go without your morning cup of coffee, make sure you also drink water during and afterwards to help wash the acid off of your teeth. Most dentists will tell you to avoid candy and other sugary treats to help keep your teeth healthy, but even food that is good for you can contribute to acid erosion. When eating highly acidic fruits, make sure you either drink lots of water, or balance out the acid with food like nuts. Do not brush your teeth within one hour of consuming acidic drinks or foods because it can speed up the erosion process. Another good technique is to regular rinse your mouth with warm water and baking soda. The baking soda is basic, so it neutralizes acids in your mouth. If you teeth have been excessively damaged by acid wear, your dentist may need to perform corrective dentistry like crowns in Mckinney, TX or even dental implants. Talk to your dentist about even more things you can do to ensure the health of your teeth. Arte Dental, with locations in both Mckinney and Little Elm, Texas has been rated #1 Dental Office by Patient’s Choice – and for good reason. Every patient that walks through our doors is treated like family. Since we opened our clinics, we have been striving to combine the highest quality dentistry and the latest technology with top of the line customer service. We want patients of all ages to feel comfortable during their procedure, and to walk out with beautiful, healthy teeth. 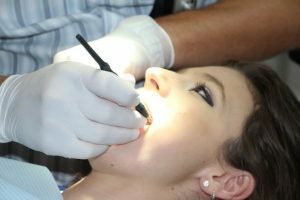 We specialize in a wide range of services in general family dentistry, implant dentistry, and comsetic dentistry in McKinney, TX and Little Elm, TX. You can achieve the smile of your dreams with our expert dental procedures. From routine cleanings to dental implants, we take the utmost care of your dental health. Arte Dental takes most insurance plans, and works hard to provide you with affordable and quality dentistry. 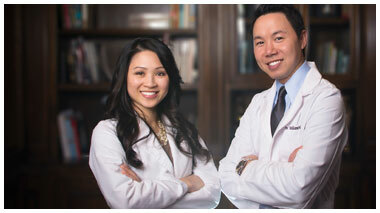 If you can’t pay for treatment, Dr. Nguyen – in our McKinney location – provides an annual Free Dental Day. Our main goal here at Arte Dental is to help you and your whole family smile with confidence. We use the most up-to-date technology available for all procedures, and our expert dentists and dental hygeinists work hard to create a pleasant and comfortable environment in the office. For more information about our services, visit ArteDental.com, today. This entry was posted in Uncategorized and tagged cosmetic dentistry mckinney tx on June 15, 2016 by .